When you roast asparagus, bell pepper, and squash for this recipe, you’ll be making extra veggies and squash that can be added to salads, pasta, or rice dishes later in the week. Toss together asparagus, bell pepper, squash, and oil on large baking sheet. Season with salt and pepper, if desired. Grill or broil vegetables 4 to 6 minutes per side, turning once. Mash together beans, garlic, and chile sauce in small bowl until smooth. Spread half of bean mixture over each tortilla. Top each with 3 basil leaves, ½ cup roasted vegetables, 4 onion slices, and ½ cup arugula. Fold bottom third of tortillas over vegetables, and roll up tightly, tucking in sides as you go. 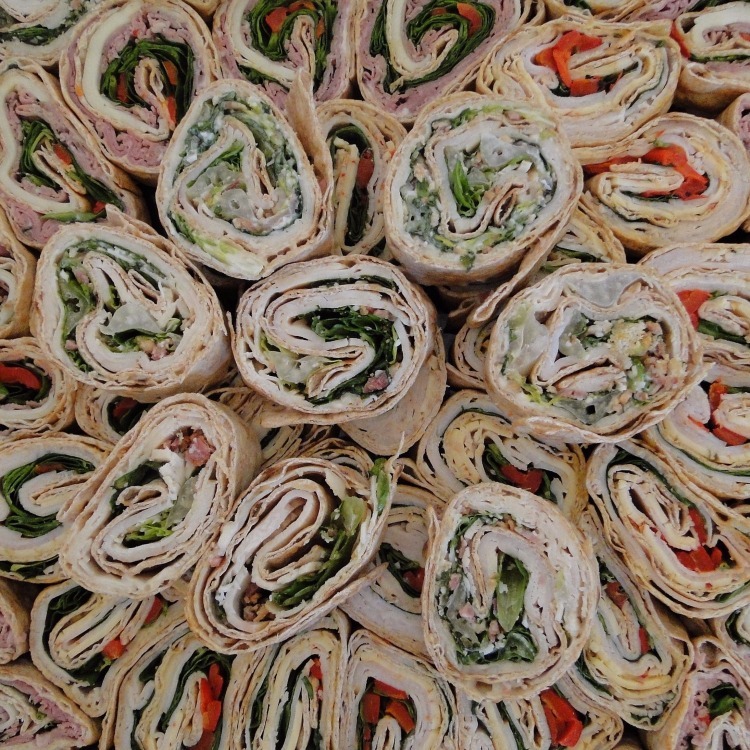 Cut wraps in half on diagonal. Serve immediately, or wrap each half in foil or wax paper, and chill until ready to eat.